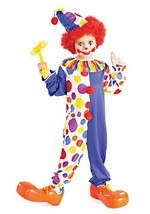 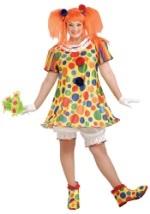 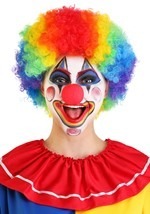 Be the star of the circus in this authentic clown costume! 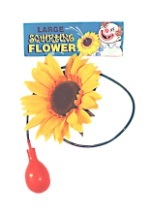 It includes a foam top hat that features a yellow daisy in the front. 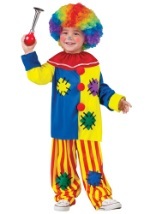 A red and blue jacket with green and yellow sleeves. 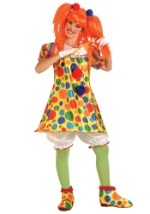 Two faux pockets sit on the hips and it closes with an elastic band that is hidden by the two large, orange buttons. 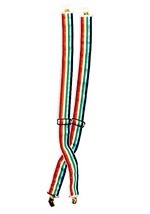 The collar is lined with a colorful plaid pattern that is also found on the pants. 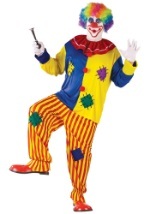 The pants have an elastic waistband and red and blue cuffs. 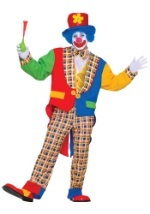 A yellow vest that velcros in the back for closure and has an attached white, undershirt is worn under the jacket. 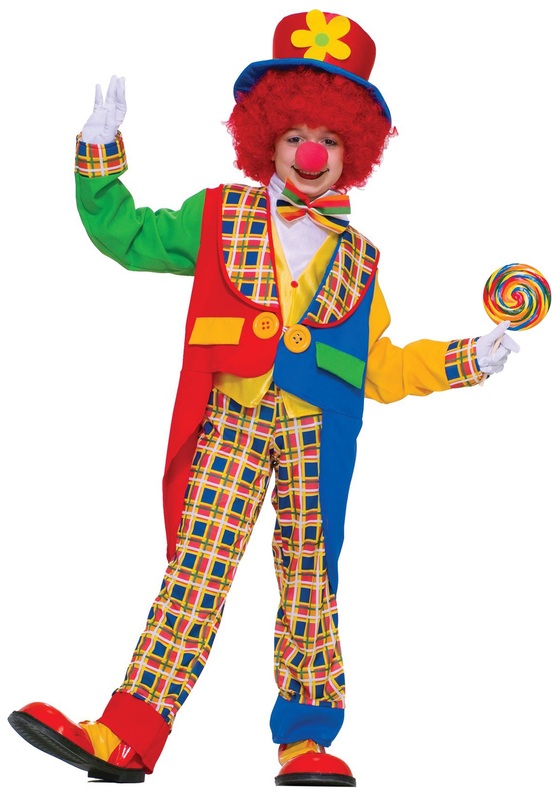 A colorful bow tie is attached at the top and red buttons decorate the vest. 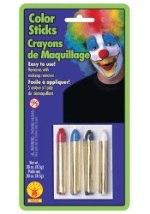 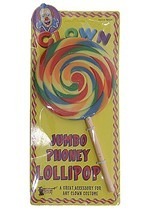 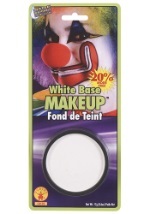 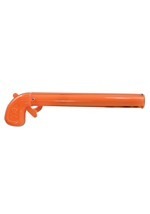 Check out all of our clown accessories for a complete look.